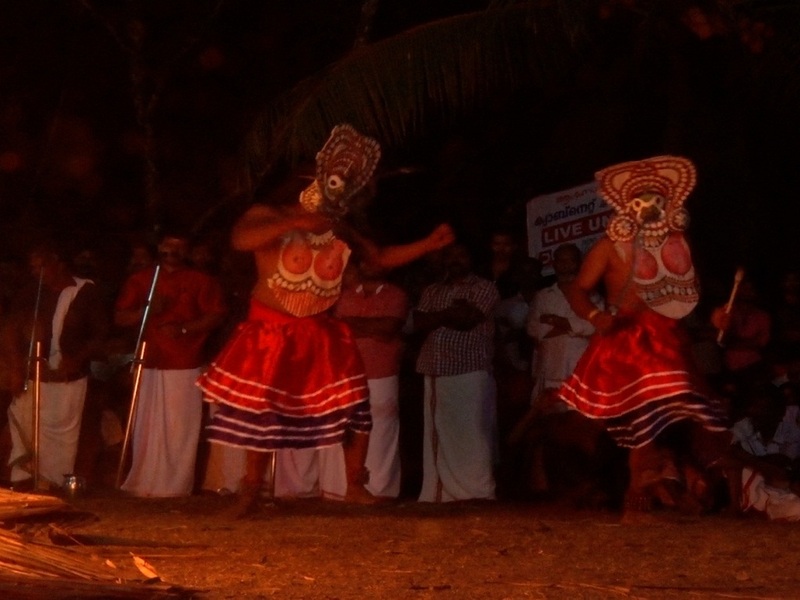 Kottangal Devi Temple, one of the Goddess temples in Pathanamthitta, is famous for the annual Padayani festival. 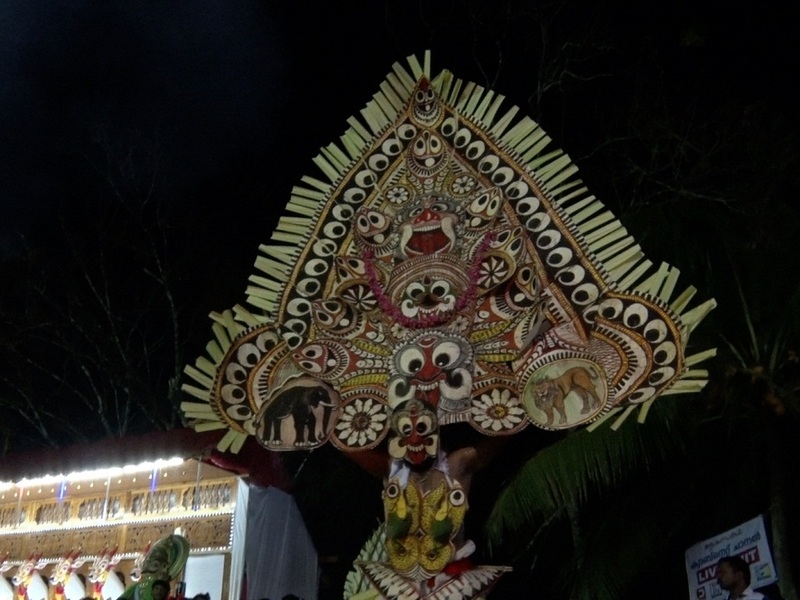 Popularly known as the Kottangal Padayani, usually starts on the Bharani asterism in the Malayalam month of Dhanu (December-January). 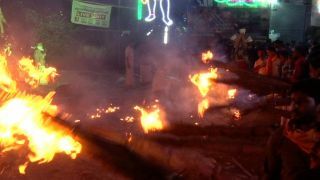 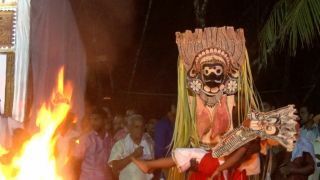 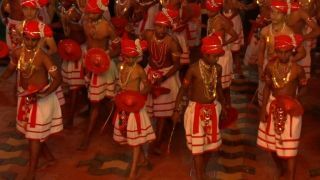 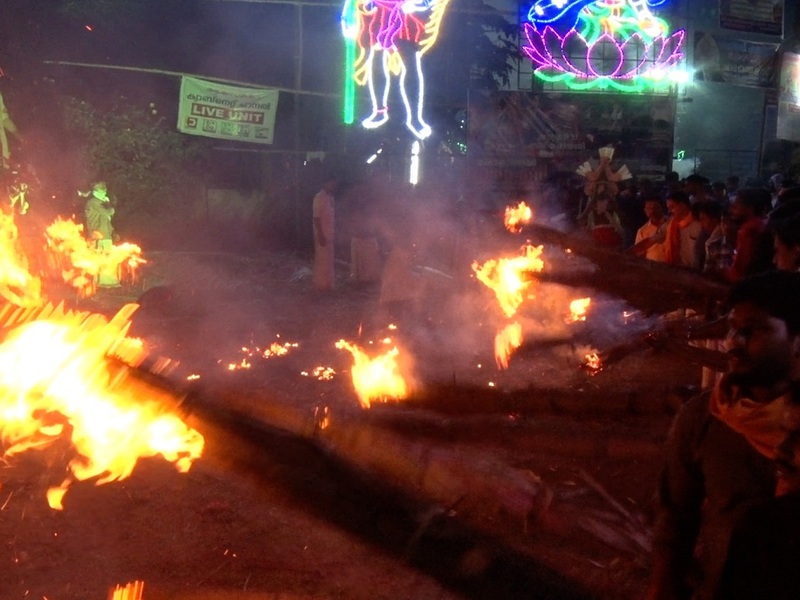 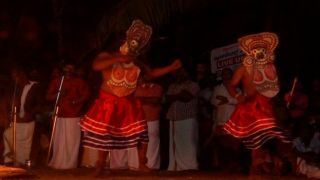 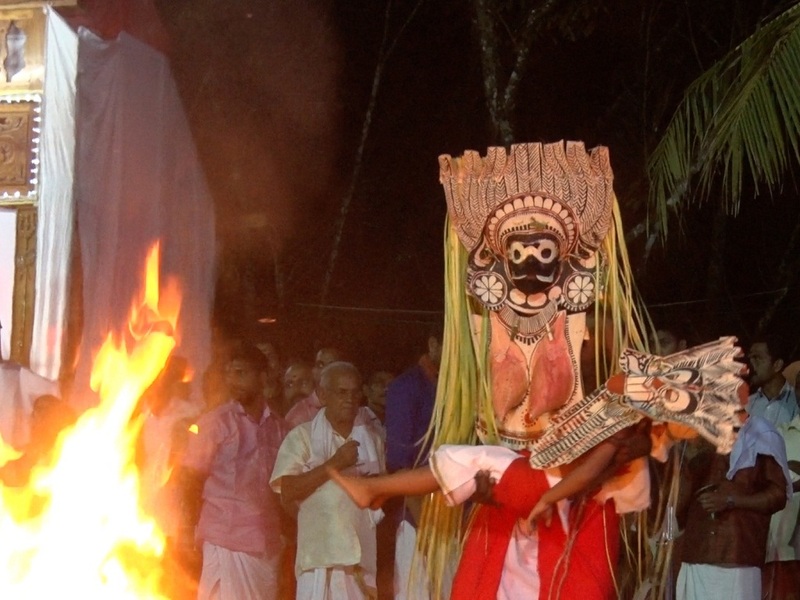 The festival begins with ‘choottu kathikal’ (burning of the torch made up of dried coconut leaves) and ends on Bharani asterism in the Malayalam month of Makaram (January-February). 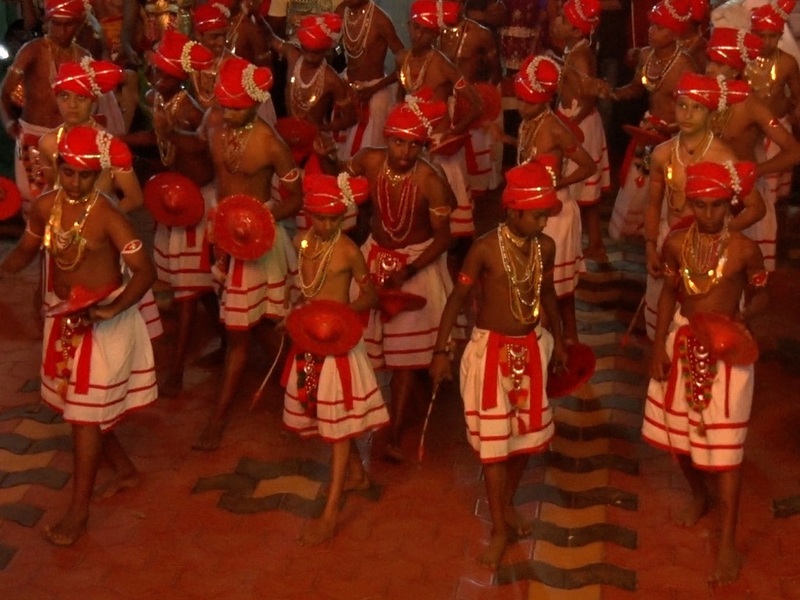 Thappu melam or thappu orchestra is the major percussion instrument used for Padayani. 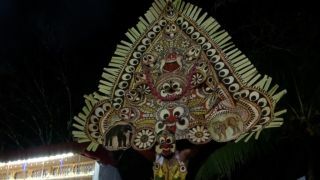 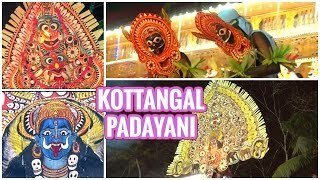 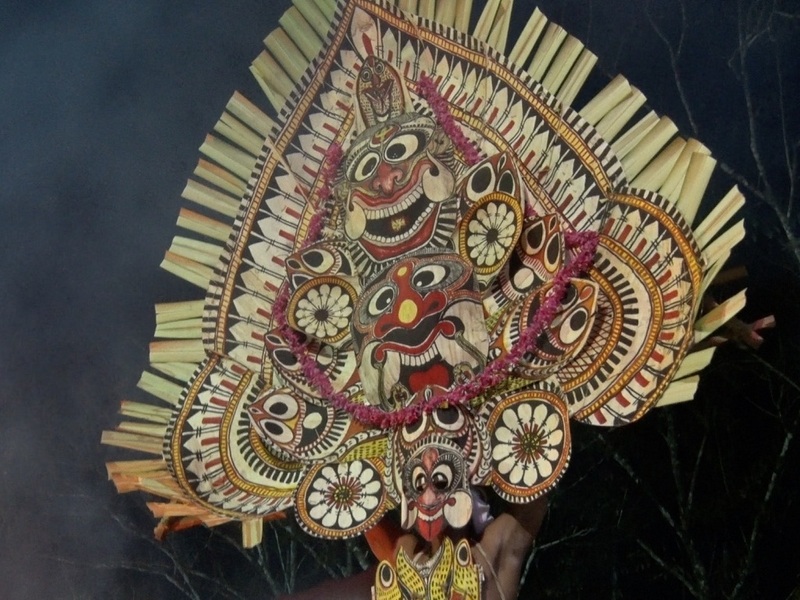 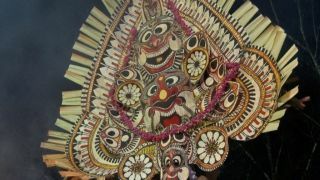 Kottangal will see various kolams (effigies made out of fresh spathe of the arecanut tree) such as Yakshi Kolam, Pala Bhairavi, Arakki Yakshi, Marutha Kolam, Pakshi Kolam, Kalan Kolam, Bhairavi and Maya Yakshi.